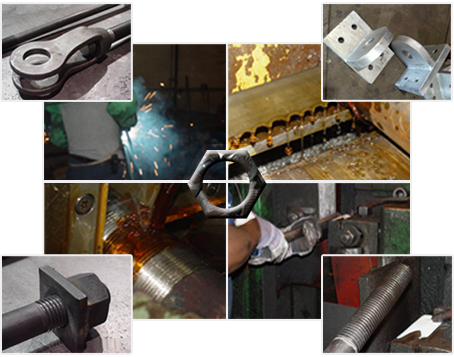 Hercules Bolt manufactures anchor rods in all configurations from 1/2″ to 4″ diameter. We offer bent bolts, Swedge bolts and assemblies fabricated with plates and special washers. Our capabilities include in-house welding and assembly. Additionally, we can provide assemblies with sleeve or coupling nuts. Hercules Bolt also manufactures sag rods and brace rods. Hercules Bolt can work to all specifications and can provide hot dip galvanized materials.